Top beauty gift with purchase offers are from Cult Beauty, Nordstrom, Ulta, David Jones, Beauty Brands, Forever21, June Jacobs, Omorovicza, Birchbox, Stage Stores, Saks Fifth Avenue and more. Cult Beauty (NEW) Get 15% off fragrance and candles (they have Le Labo). (2d) See Cult Beauty brand specific gift with purchase offers (no coupon needed) this week. (2d) Get a FREE full size Essential Hydration Concentrate when you spend £60 Alpha-H.
(2d) Get a FREE full size Love Contours All Palette when you spend £30 on NYX Professional Makeup. (2d) TRY: Use codes: 19CNY15 to get £15 off £100 purchase, 19CNY25 to get £25 off £150 purchase or 19CNY30 to get £30 off £200 purchase. NORDSTROM (NEW) Receive a mini Moroccan Amber Scented Candle and Linen Scented Candle (0.95 oz. each) with your $75 NEST Fragrances purchase. (NEW) Receive a mini Lemon Coco Candle and Rose Champs Candle (1.8 oz. each) with your $30 Voluspa purchase. A $26 value. See all Candles. (NEW) Receive deluxe samples of Shimmering Skin Perfector Liquid Highlighter in Opal (0.2 oz.) and Ultimate Coverage 24-Hour Foundation in your choice of Cashmere, Driftwood or Maple (0.2 oz.) with your $30 Becca purchase. Enter one promo code—CASHMERE, DRIFTWOOD or MAPLE—in Checkout to qualify. (NEW) Fall in love with romantic rose scents from Jo Malone London, diptyque, BYREDO and more. Find fragrance gifts and beauty gift sets just right for your valentine, plus enjoy FREE shipping and FREE returns on every NORDSTROM Beauty order. Stage Stores (NEW)(HOT) Extra 50% off all clearance including beauty clearance e.g., Philosophy set reg $20 now $4.99 or Smashbox palette reg $39 now $13.65. This nourishing hair oil is so lightweight you won’t even know it’s there. (NEW) Birchbox Limited Edition: Time to Dazzle was $66 now $33 (a $240 value). Saks Fifth Avenue (NEW) Get free fragrance samples with any $25 beauty purchase use coupon code: “LELAB22SF”，”MRCN4SF”，”YSL9CSF”， “LUTENS3SF”， “NIHIL2SF”or “AMOUGE3SF”. (NEW) Receive an Or Rouge Creme Reno 0.24 oz. * with any $350 La Prairie purchase. Use code LAPRA2SF at checkout. (NEW) Receive a Skin Caviar Luxe Cream Tube, 0.17 oz. * with any La Prairie purchase. Use code LAPRA3SF at checkout. (NEW) Up to 65% off Valentine’s Day sale. See all stackable free gift with purchase at Saks Fifth Avenue (coupon required). See beauty department at Saks. See beauty clearance. Omorovicza (NEW) Celebrate Valentine’s Day with a unique skincare gift built by you, including three travel sizes and a branded Omorovicza bag. Simply choose your favourite skincare products from our selection of little luxuries and a bag to build your complimentary gift with purchase, yours when you spend £100 / $130 or more*. (NEW) Play game to get prize like free gift with purchase or discount code – you can replay. Enhance your Mix & Match set by choosing 3 products for $75! Choose 3 free samples with any order. Free shipping all UK & US orders no minimum. New customer use code NEW or TRYME15 to get 15% off. Beauty Brands (NEW) BOGO free 900+ items including makeup, skincare, hair care and more. (NEW) Through 2/15, get 3-piece deluxe gift with any $25 purchase – a $19.99 value. Use code EC15720 to get 35% off entire regular price purchase! Forever 21 (NEW) Receive a FREE Valentine’s Day gift with $65 purchase using code “VDAYGIFT” at checkout – pick and add to your cart. June Jacobs (NEW) Happy Chinese New Year, spend $75 and get a FREE Raspberry Recovery Serum, a $70 value! , ends 2/17. (NEW) Through 2/10, Fall in love with your eyes! Spend $75 and get a FREE Intensive Age Defying Brightening Eye Cream, a $100 value! (NEW) Throughout February, Apply NEROLIHM to Receive a Free Neroli Hydrating Mist, a $38 Value, with $50 Purchase! Free shipping on any $100 purchase and free samples on any purchase. Sign up to their email and receive 15% off. See Travel Size Shop here. David Jones Australia (NEW) Choose your bonus 8-piece gift† with any Estée Lauder purchase of $75 or more. (NEW) Receive a $25 David Jones Gift Card when you spend $250 or more^ on full-priced beauty. Ulta (NEW) Check out new Morphe Ulta Exclusive. Checkout new Morphe x Jeffree Star brushes direct from Morphe USA. (1d) eceive a FREE 30 Pc Beauty Bag featuring all cruelty-free products with any $150 online purchase. Over a $275 value! (1d) Receive $3.50 off $15 purchase use coupon 762939 (exclude prestige brands) any qualifying purchase – printable version coupon here, ends 2/16. (1d) Use code: 601079 to get 20% off (exclude prestige brands) any qualifying purchase. (6d) Use code 637802 to get 20% off qualifying purchase printable version coupon here, ends 2/2. Visit New Arrivals, Skincare. Visit Ulta Buy More Save More list page. Ulta Best Seller Sale Page. 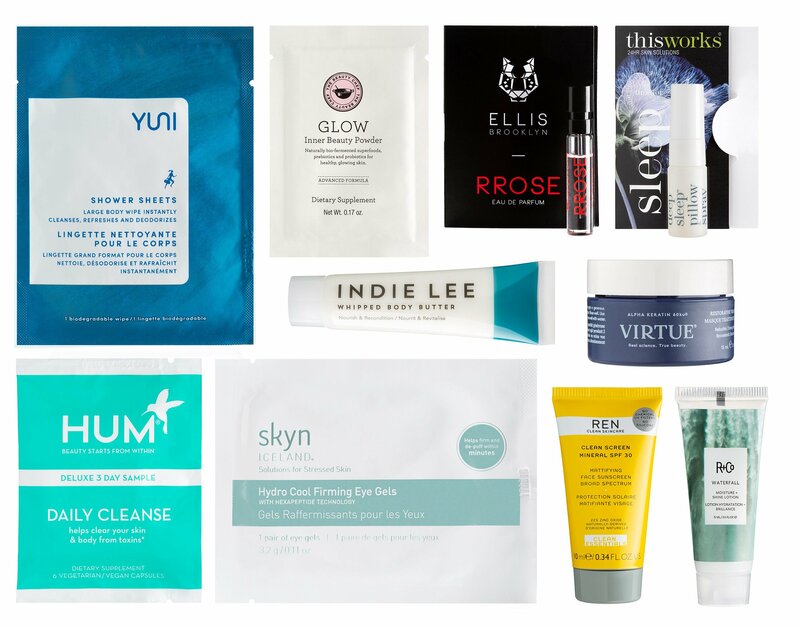 100% Pure (NEW)With $45 purchase get a three free sheetmask. Offer not valid on gift cards. Add item to cart and enter code MASKINANDRELAXIN. 111SKIN (NEW) Get up to 25% off + exclusive Chinese New Year box. Orders over £150 are shipped for free for US or £80 for UK. Adore Beauty Australia (NEW) Get $20 gift card on $99 purchase, ends 2/16. Promotions are valid for AU customers only. See this page for all coupon codes. Free shipping on all Australian orders. Two free samples on any $50 order. Ship to US, Canada, UK starts from $6.95. Anthropologie (NEW) Extra 25% off sale items including beauty that are already up to 40% off sale like Foreo, Whish, HUM, Violets are Blue and more. See top rated beauty here. See all beauty. ASOS US (NEW) Final clearance up to 80% off. Milk Makeup (NEW) Get a Free Deluxe Lip + Cheek Sample & Cooling Water Sample on all orders of $50 or more! Valid 2/1-2/28. Bite Beauty (NEW) Every week in February, we’re featuring one of our favorite Bite Beauties and their must-haves. Free Mini Agave Lip Mask in “Maple”. Use code HULLOSAM valid through 2/28. (4d) Receive a set of 4 mini Amuse Bouche Lipsticks in a collectible tin & free shipping with any $45+ purchase. Use code NATURAL, BOLD, or CLASSIC while supplies last. Benefit Cosmetics (NEW) Shop the limited-edition Benefit x ban.do boss brows, baby! Kit – a $58 value for only $34! (NEW) Through 2/18, get a free gold cosmetic with $65 purchase use code BROWBAG. Bergdorf Goodman (NEW) Pat McGrath is available here. Choose 5 free samples on any $50 purchase. See beauty gift with purchase offers here. Free shipping almost everything or 2-day shipping with incircle membership. BH Cosmetics (NEW) Free Gwp (brush Set) on Purchase of A Full Size Palette (16+ Shades). Use Code BRUSHFREEBIE. Biotherm and Biotherm Canada (NEW) For Valentine’s Day, get a FIVE piece gift FREE on all orders $40+ at Biotherm Canada! Use code: VALENTINE (Valid 2/5-2/17 11:59pm EST). Use code LUNAR to get 20% off all order or 25% off $90 purchase. Bluemercury (NEW) Receive a Free Skyn Iceland Winter Relaxation Kit Including 3 Deluxe Samples with Any $35 Skyn Iceland Purchase! Clinique (NEW) Valentine’s Day Is Coming Soon! Choose a Free Kit with Any $45 Purchase. Both Kits Include Some of Our Fave Products! Pick Yours Today. Code: TRUELOVE or LETSFLIRT. Valid 2/4-2/10! Darphin (NEW) Enter offer code DIVINE at checkout to receive a 5ml Stimulskin Plus Reshaping Divine Serum, 1.4ml 8-Flower Nectar, 5ml Stimulskin Plus Divine Multi-Corrective Cream, and a 2ml Stimulskin Plus Multi-Corrective Divine Eye Cream with your purchase of $85. The Detox Market and The Detox Market Canada (NEW) Get a FREE Lina Hanson Global Face Trio 30ml with ANY Lina Hanson purchase use code LINA. (HOT) The Detox Market Beauty Survival Kit $99. Dr Brandt (NEW) February 1 – 14: 45% off Dr. Brandt’s Do Not Age Collection with Coupon code: DNA19. (NEW) Free 5-Piece Gift of Favorites With $125+ Purchase. Use Code: LOVE. Erno Laszlo (NEW) 25% off any purchase, ends 2/10. Free shipping on any $50 purchase or add $5. Choose 2 samples at checkout. Foreo (NEW) Valentine’s Day: Save 25% Off Luna Mini 2 and 30% Off Luna 2 and Ufo This Valentine’s Day at Foreo.Com! Illamasqua (NEW) Receive a Free Illamasqua lipstick when you spend £50 or more onsite. Creme de La Mer (NEW) Use code VDAY19 to get free 5pc gift with $300 purchase, ends 2/7. (HOT) La Mer The Hydration Exploration Kit $150. Lancome (NEW) Enjoy 20% off at Lancome when you shop our Valentine’s Day looks! Use Code VALENTINE. Valid 2/1-2/14. (NEW) 15% off $88+ purchase and 2 samples. Use the code “LNY” at checkout. Offer is valid through Tuesday February 5th. (NEW) Use code YEAROFPIG to get a free Lunar New Year purse on any $188 purchase. Lancome Canada (NEW) Celebrate Lunar New Year with 15% OFF use code NEWYEAR15, Get a free 5pc gift worth $158 with any $88 purchase use code LUNAR. Laneige (NEW) Happy Lunar New Year! Celebrate with a limited edition pouch filled with our fave minis. Yours with any $75 purchase. Includes: Snow Flower Pouch Bag, Water Sleeping Mask (15ml), Eye Sleeping Mask (5ml), Water Bank Moisture Cream (8ml) End Date: 2/18. (NEW) Free 4-Week supply of Water Bank Moisture Cream with any $25 purchase. End Date: 2/18. (4d) Laneige x BeautyCon beauty boxes. Laura Geller (NEW) Shop & Receive Double Points Get free deluxe gift on any $75 purchase. Macy’s (NEW) Choose your FREE 6-Pc. gift with any $55 Estee Lauder fragrance purchase. Ofra Cosmetics (NEW) Mystery bag $35 ($85 value). Origins (NEW) Friends & Family Is Here! Enjoy 20% Off Any Order. Use Code: FAMILY at Checkout. Offer Valid 2/2 at 6 Am Et – 2/8 at 6 Am Et. REN (NEW) 3 Free Deluxe Samples on Every Order. No minimum purchase. Revolution Beauty (NEW) Get £25 worth of Free makeup when you spend over £30. Sekkisei (NEW) With any purchase get a free 5pc gift ($35 value). Get 2 free samples on any order. Free shipping on any $60 purchase. Shu Uemura (NEW) Free shipping on eyelash curler orders in Shu Uemura USA and Canada with the code ICANSHU. (5d) Lunar New Year Offer! Get 15% off any order, 20% off and 3 deluxe samples on orders $50+ and 20% off, or 20% off + 3 deluxe samples! Use the code LUNAR at checkout. Valid 1/27-2/5. Shu Uemura Canada (5d) Lunar New Year Offer! Get 15% off any order , 20% off and 3 deluxe samples on orders $75+ and 20% off, 3 deluxe samples and an exclusive GWP with orders $99+ at Shu Uemura! Use the code LUNAR at checkout. Valid 1/27-2/5. Alternatively, Use code REVSHU15 to get 15% off – not combined with any code. Choose 3 free samples on any purchase and free shipping on any $50 purchase or add $4.50. Shu Uemura Art of Hair (NEW) Enjoy 20% Off All Hair Care Gift Sets! Use Code VDAY19. Valid 2/4-2/11 (7:00 Am Est)! (NEW) Get 10% Off 1 Full-Size Product, Get 15% Off 2 Full-Size Products, Get 15% Off 3 Full-Size Products and Free Shipping! Use Code CNY19. Valid 2/4-2/11 (7:00 Am Est)! SK-II (NEW) Use code LUNAR19 and receive a deluxe sample of R.N.A.POWER Cream with your $100 purchase or a deluxe sample of R.N.A.POWER Cream plus two masks with your $200 purchase. SkinStore (NEW) Use code LOVE to get 29% off and Select a FREE sample when you spend $75 or more. (6d) GIFT 1: Our SkinStore x Erno Laszlo Limited Edition Beauty Box is here $98, with a total worth value of over $282! Stila Cosmetics (NEW) Through 2/8, 30% off gifts use code VDAY. Victoria’s Secret (NEW) up to $50 off Sale. (NEW) $15 off when you spend $75; $30 off when you spend $150; $50 off when you spend $200. Enter coupon code SAVEMOREVS at checkout. Yesstyle (NEW) Extra US$ 10 OFF orders over US$ 89 Use code: 2019LNY10, Ends Feb. 10, 2019. (NEW) Extra US$ 4 OFF orders over US$ 39 Use code: 2019LNY4, Ends Feb. 10, 2019. Free Tony Moly pureness mask with any $35 select purchase. (HOT) YesStyle Beauty Box – “Dear, Love” Valentine’s Box (Limited Edition) $37.91.